In late 2017, Validic conducted a survey of nearly 200 hospital and health system executives, directors and clinicians to better understand their opinions on and current usage of digital health technologies, like in-home medical devices and consumer apps and wearables. This is the second blog in a three-post series. Read the first blog of the series here, or check out the full survey results here. Although remote monitoring has peaked the interest of hospital and health system leadership and individual physicians for a variety of use cases, some see barriers to successful and profitable implementations of remote care within their organization. This prompts an important discussion on the potential incentives that could encourage the adoption of remote care programs. According to a recent survey, a third of respondents see no objections to remote care within their organization, but the majority also identified several incentives that would further promote the success of such programs. 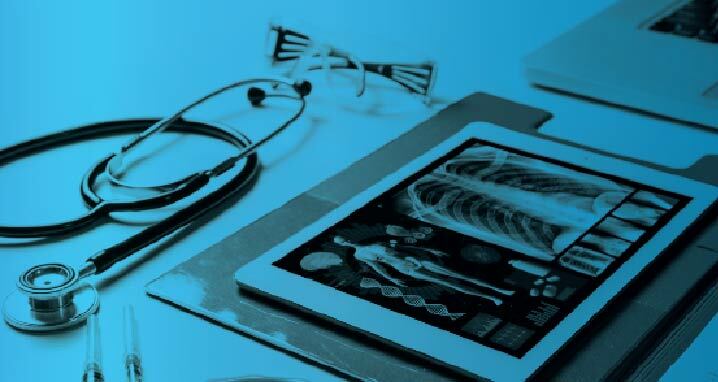 According to the survey, 33% of respondents have zero objections to remote care within their organization — suggesting that professionals are already aware of the benefits of integrating patient-generated health data (PGHD) to enable more continuous care of populations outside the clinical setting. However, other respondents from the survey expressed certain concerns around data accuracy; privacy and security; financial factors and reimbursement; as well as general organizational resistance to change. They see these as barriers preventing the growth and adoption of remote care within their organization. Despite some varying concerns, many stakeholders agree that industry shifts and improvements in technology and security innovations — along with the advancement of internal and external incentives for remote monitoring — have made the use of PGHD in the clinical setting more attainable and effective in patient care. There are standards developing for these programs of care utilizing remotely-collected patient data. The transfer of de-identified patient data can ameliorate concerns regarding HIPAA violations; moreover, the success of pilot programs using such methodology have proven that these programs can be effective in improving patient health while simultaneously reducing the burden on care teams. 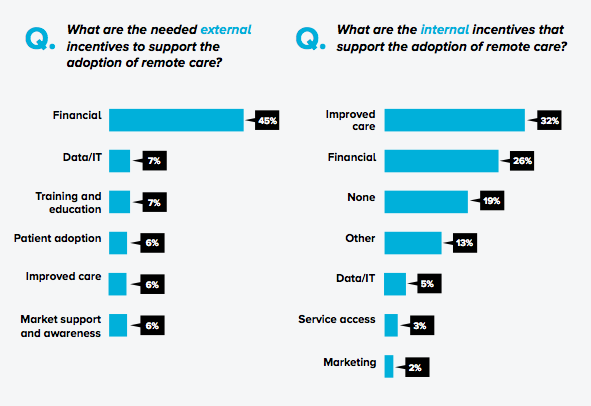 According to the survey, 45% of respondents believe that external financial incentives are needed to support the adoption of remote care and utilization of PGHD. One such example is the recent unbundling of CMS code 99091, which gives physicians the opportunity to be reimbursed for the analysis of remotely-generated data submitted by patients. Respondents also agreed that a major incentive for remote care would be improved care (and subsequently improved experiences and outcomes) for patients. As programs show the improved management of chronic conditions, the success of patients in reaching their health goals, and the strengthened patient engagement offered by remote monitoring programs, hospitals and health systems will be better able to understand the benefits offered by such treatment plans. Respondents also noted several other incentives that would support the adoption of remote care, like patient adoption of popular digital technologies (like wearables and consumer health apps) and lowered expenditures on care. To learn more about the incentives hospital and health system innovators are seeking to more effectively adopt remote care programs, and the barriers leaders are working to overcome, read the full survey results here. This is the second post in a three-part blog series. Check out the first post here, and stay tuned for the third piece, where we will explore the effect of data on the patient experience.